I had planned to add APR’s downpipe and upgrade to Stage 2 in the spring. Being a relatively new resident of Virginia (I maintained Texas residency during my military career), I had created a financial safety net so that I wouldn’t have any unpleasant surprises when the 2017 tax bill came. As it turns out, I over-budgeted and had plenty of leftover cash. What a great opportunity to upgrade to APR Stage 2 and more! 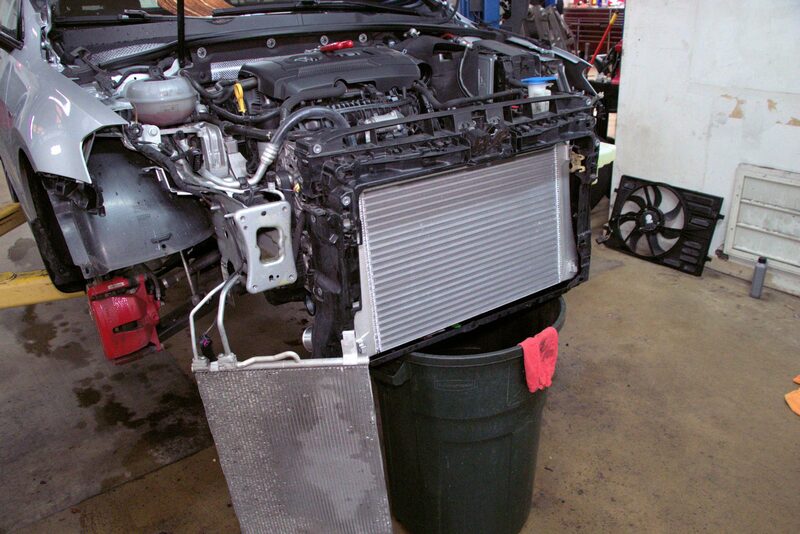 I didn’t have immediate plans for a new intercooler, but the surplus tax money made adding one an easy decision. I took my car to Euro Pros to have APR’s downpipe and intercooler installed, as well as new spark plugs and a flash to Stage 2. 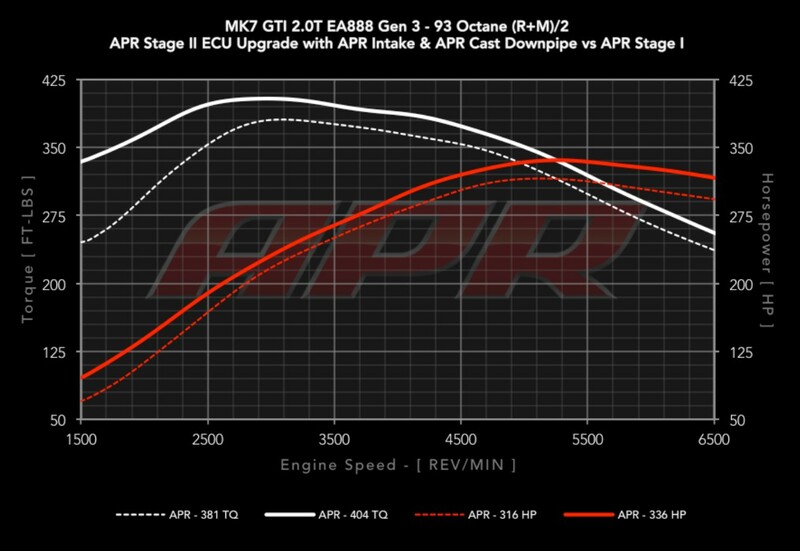 APR Stage 1 increases engine output to 316 hp and 381 lb-ft. The change is dramatic. 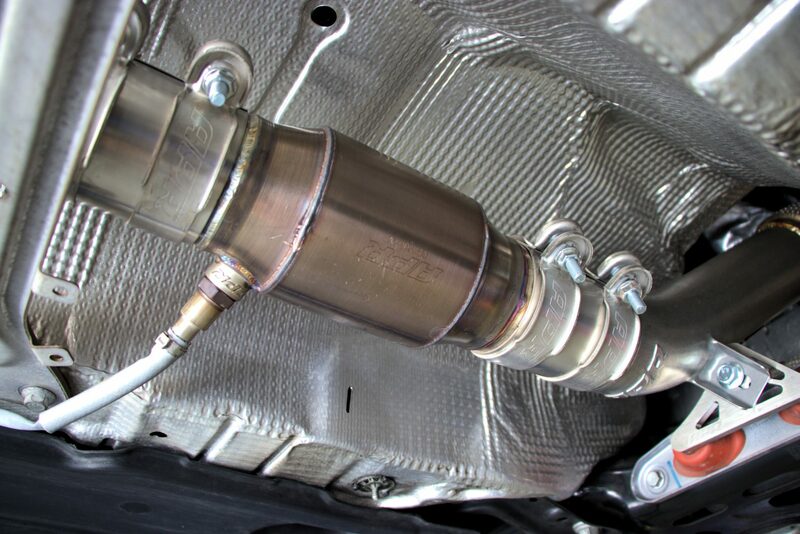 Upgrading to Stage 2 increases that output to 336 hp and 404 lb-ft, according to APR. I very recently saw some Stage 2 GTIs dyno at just over 300 whp, so 336 bhp is believable. I did not upgrade my intake, so it’s possible that I’m losing just a little bit of power at the top end. Perhaps 330 bhp is a realistic claim for me? I rarely run my engine to the top end, anyway. So I’m okay with 330 hp! 😉 I’m confident that the low-end torque is unaffected by my factory intake. As for the intercooler, I doubt that it provides any benefit during this time of the year. 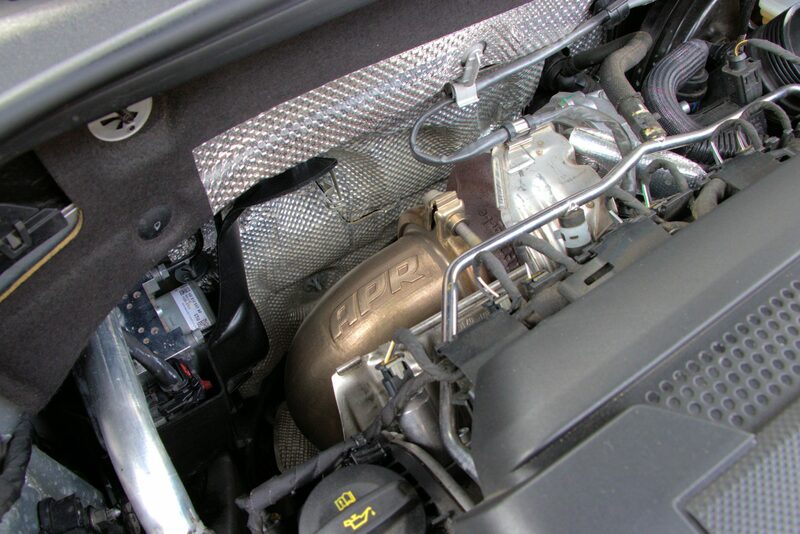 Instead, the intercooler’s benefits come during the summer when a larger intercooler has a better fight against hot air than the stock unit. Quite frankly, I may not ever notice the improved performance because I probably will just take the retained summer performance for granted by the time the heat arrives. We’ll see. I did the upgrade on President’s Day since it was a holiday for me. I almost laughed when the shop owner asked, “Do you want the ‘Pops and Bangs’ tune?” Uh, that’s a big-fat-negative! 😉 It rained all day. So it was a bit of a bummer that I couldn’t unleash the newfound power and torque for a few days. The difference in sound was certainly noticeable. There’s an occasional gurgle on deceleration. I cannot control or predict it. The gurgle just happens, but is not obnoxious at all. However, there is some drone that appears at 2800 rpm, is quite annoying around 3000 rpm, and begins to taper a little around 3500 rpm. It doesn’t matter during aggressive acceleration, but my observation is during easy driving. It certainly compels me to get into a gear that keeps me below 2500 rpm as soon as I can. Anyone who says “it sounds just like stock” is either tone-deaf or lying to themselves. The exhaust does sound stock-like when cruising below 2800 rpm. But the drone escalates as soon as engine speed increases or while climbing a hill. I can tolerate the extra sound for a bit, but I’m definitely a candidate for a resonator to replace the factory front muffler. I’ve read plenty of reports that say this resonator will cure drone in my setup. 🙂 I’ll be certain to share my story when I make the switch. UPDATE: The Vibrant 17950 cured my drone. Coming from a diesel background and having done some fuel economy testing before, you KNOW I took the car on a road circuit to see if I could break the coveted 40+ mpg barrier. 😉 My previous best tank was 39.6 mpg and I had achieved 37.9 mpg on another tank. So I wanted to see if the reduced exhaust restriction might have improved fuel economy on a well-behaved trip. I drove a 200-mile circuit at sane speeds, including my commute to work, and achieved (drum roll, please) 35.4 mpg. Yeah, I was overly optimistic to think economy might improve. Plus, it was possibly the most boring 200 miles of my life; I’ll probably never do it again. The car is too fun to drive in such a dull way. HAHA! 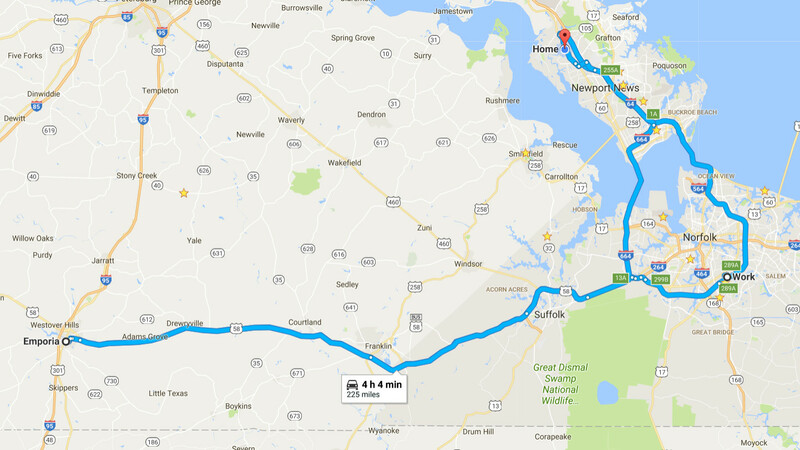 I suspect my 39-mpg tank was had because I was descending from the mountains of Tennessee to the coast of Virginia. We’ll see on our next road trip. That’s all I can think of for now. Next week, I’ll share a review about my new tires and about finding two bent wheels (and how I dealt with them).